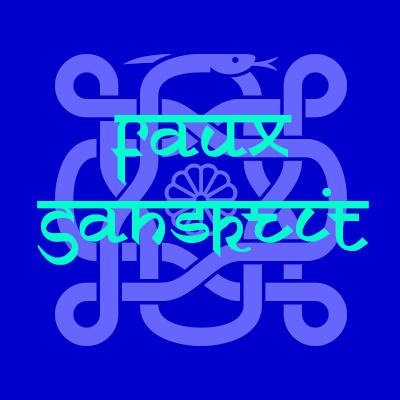 When you want to impart a specific exotic graphic flavor to a document for readers of Western languages, a Faux Font will provide the right touch. The alphabetic letterforms have been designed to resemble the forms of the original writing as closely as possible while retaining legibility. 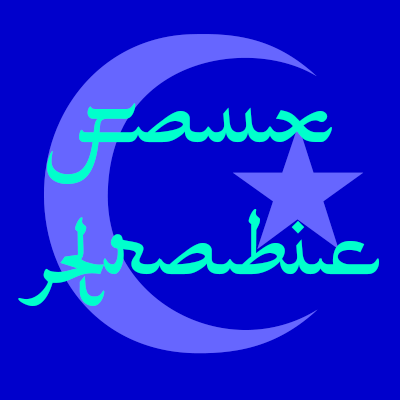 Each font also includes appropriate symbols, described in the documentation, which is provided in PDF files. 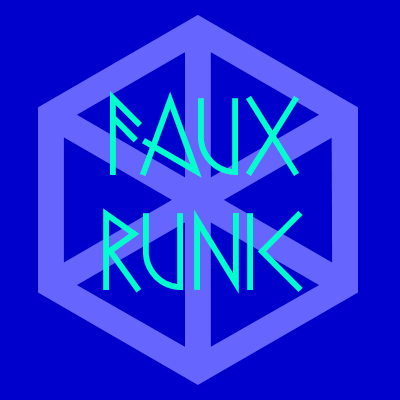 The packages include both PostScript and TrueType fonts, and are available in either Macintosh or Windows format. 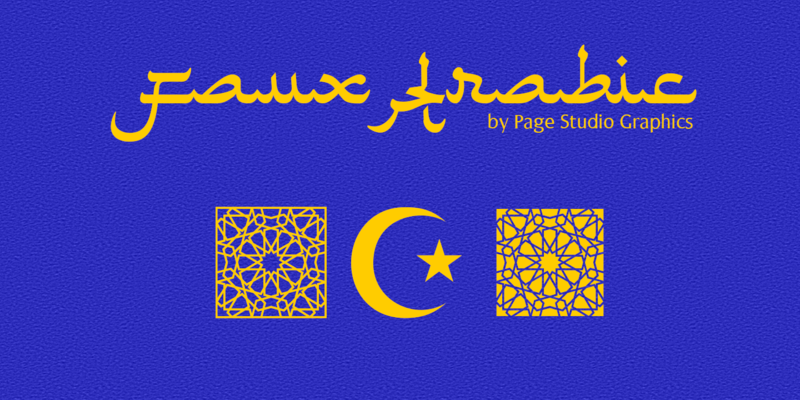 Based on Arabic calligraphic script, the font includes upper and lower case alphabets, numerals, basic punctuation and several ligatures, as well as the Islamic crescent and a typical Arabic geometric design. 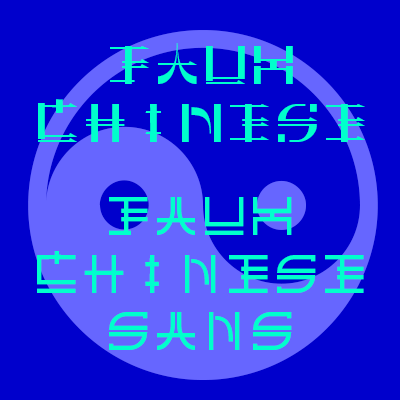 Modern Chinese typography is the basis for these two fonts (combined in one package). 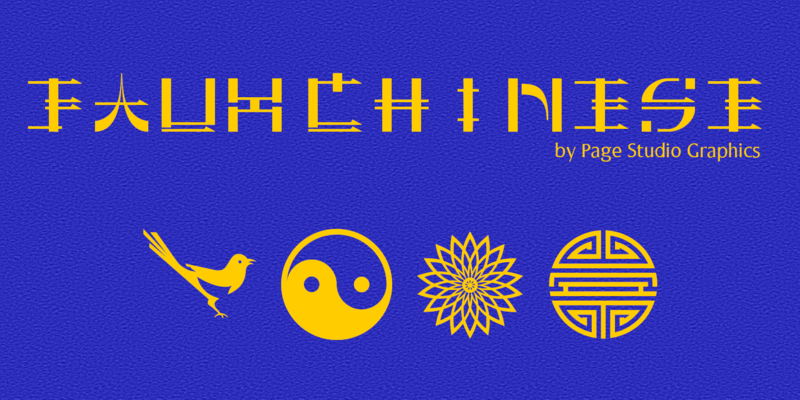 Includes upper case alphabets, numerals, and basic punctuation in two styles, as well as symbols: magpie (the Bird of Joy), chrysanthemum, shou, and Yin-Yang. 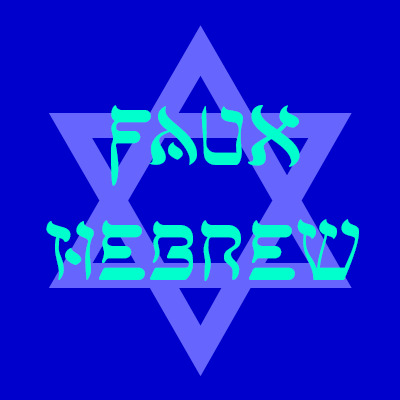 Some of the original Hebrew characters have been given new roles, others modified to resemble modern Latin characters. 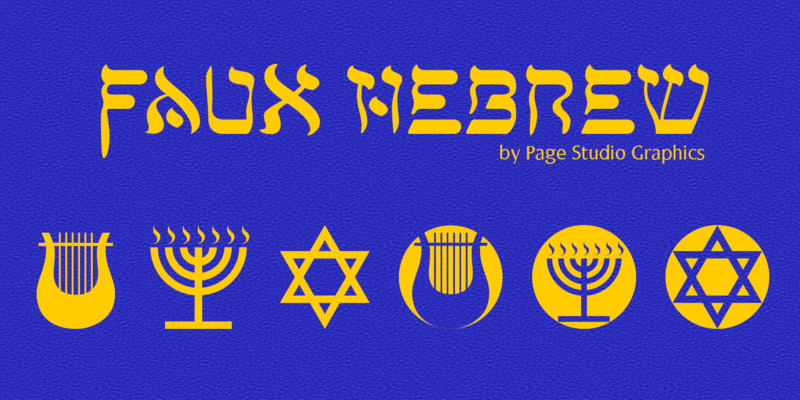 Includes an upper case alphabet, numerals, and basic faux punctuation, plus Harp of David, Menorah, and Star of David symbols. 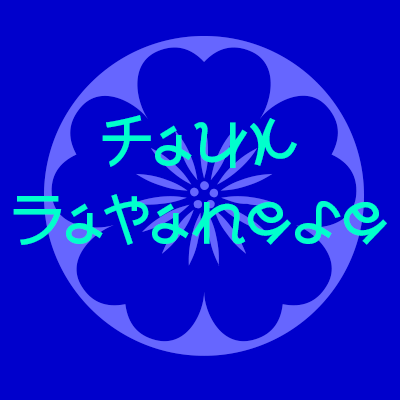 This font is based on actual Kana syllabary characters (Katakana and Hiragana). 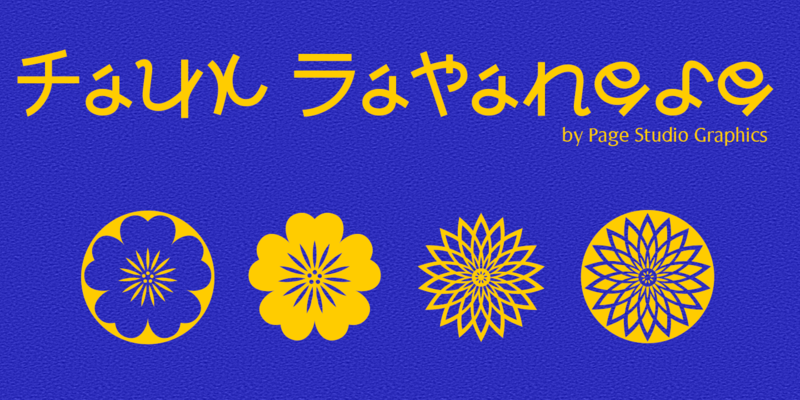 It includes upper and lower case alphabets, numerals, and basic punctuation, plus three symbols: cherry blossom, chrysanthemum, and the sun symbol of the Japanese flag. The font package includes both a normal and a bold version. 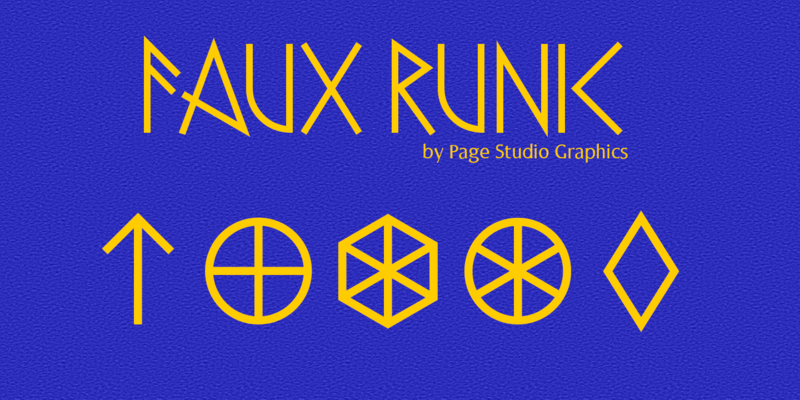 Faux Runic as well as as the basic Elder Futhark real rune alphabets are included. 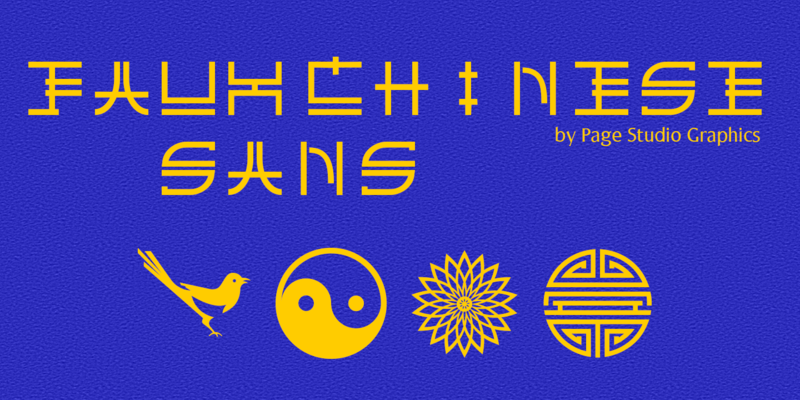 Three ancient Germanic sun symbols can be generated in the font. 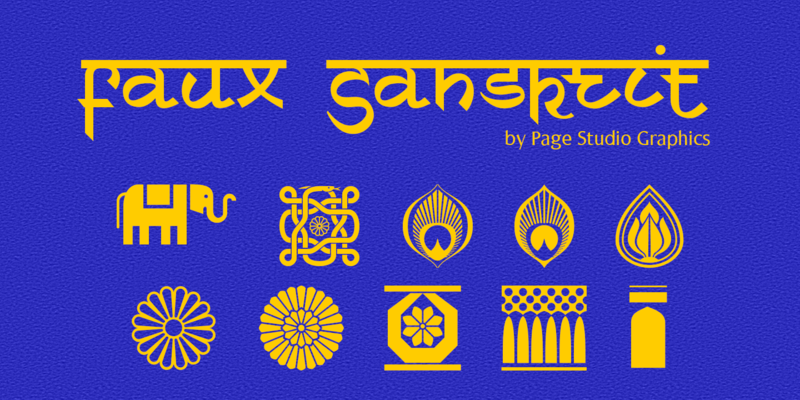 The font is based on the characteristic Hindi calligraphy and includes upper and lower case alphabets, numerals, and a collection of Indian symbols and border components.